(Springfield) — Illinois Senate Bill 1707, described by the Kennedy Forum Illinois as “the strongest mental health parity law in the nation,” passed the House on May 30 with a 106-9 vote. Sponsored by House Deputy Majority Leader Lou Lang, the bill strengthens parity law, increasing compliance and access to treatment, so that health insurance plans cover mental illness and addictions on par with other medical conditions. TASC is part of a broad coalition of support for the legislation, which now moves to the Senate for concurrence. Senator Kwame Raoul is the bill’s lead sponsor in the Senate. Illinois families and individuals struggling with mental health and addiction challenges won hard-fought victory for better access to services today. On a strong bipartisan vote of 106-9, the Illinois House of Representatives just passed Senate Bill 1707 – the strongest mental health parity law in the nation. The bill now goes onto the Senate for a vote, possibly as soon as today. SB1707 is the result of a multi-year Kennedy Forum Illinois campaign to improve parity law enforcement so that people with mental health and addiction challenges can access the treatment they need as required by state and federal law. As part of this campaign, The Kennedy Forum Illinois convened an Illinois Parity Implementation Workgroup with nearly 30 member organizations and spearheaded an Illinois provider survey on the frequency of mental health and addiction treatment denials with key partners. These efforts resulted in numerous media articles on the damage that mental health and addiction coverage discrimination causes, as well as two House Mental Health Committee hearings on parity, including one on how inadequate parity compliance is helping to fuel our state’s ongoing opioid epidemic, which continues to worsen and killed 2,100 last year. Tackles the Opioid Crisis by expanding access to life-saving addiction treatment. Requires state regulators to actively ensure plan compliance with parity law utilizing information provided by plans/MCOs and through independent oversight. Increases transparency by requiring health plans to submit parity compliance analyses to the Illinois Dept. of Insurance and the Illinois Dept. of Healthcare and Family Services that align with The Kennedy Forum’s six-step process that shows compliance with federal parity rules and requires plans/MCOs to make parity compliance information available to DOI, HFS, and to individuals via a public website. 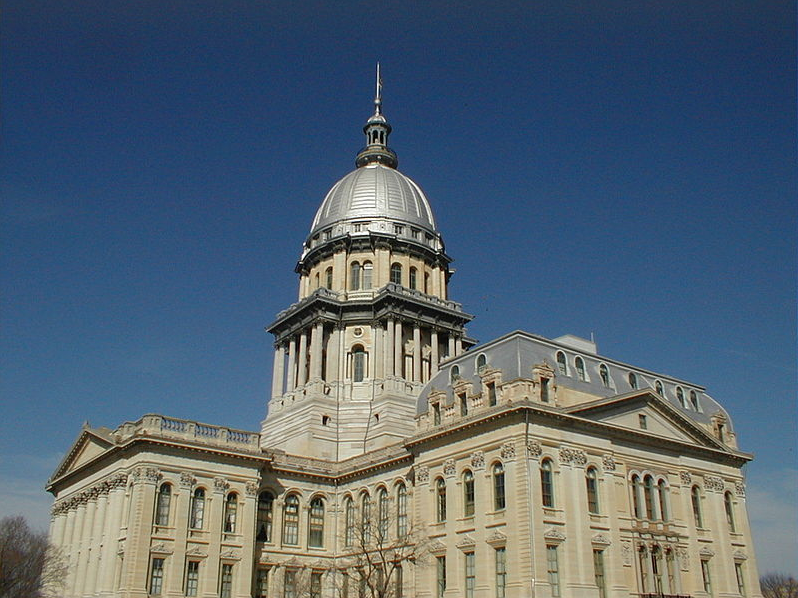 Improves parity enforcement by requiring the Departments to conduct market conduct examinations/parity compliance audits and report on their enforcement activities annually to the General Assembly and requires the Illinois Auditor General to review implementation state parity law and report to the General Assembly. Closes a loophole in state law that allowed school district health plans to discriminate against mental health and addiction coverage. By improving accountability and transparency, this legislation will increase parity compliance and access to needed treatment. While there remains much work left to do to end coverage discrimination, SB1707 represents a major milestone not just in Illinois, but the country as a whole. The Kennedy Forum Illinois thanks Rep. Lou Lang for his tireless leadership on mental health and addiction parity, as well as the Illinois Association for Behavioral Health for its partnership in helping to advance this important legislation. Many thanks also to our numerous partners* for their steadfast support. *Thank You Supporters and Coalition Members! (Chicago) – Numerous organizations and colleagues are honoring Peter Palanca as he retires as TASC’s executive vice president and chief operating officer. Following 40 years in the field of addiction prevention, treatment, and recovery, including 14 years with TASC, Palanca has garnered abounding tributes for his career of service. A longtime board member and past board chair of the Illinois Alcoholism and Drug Dependence Association (IADDA)—now the Illinois Association for Behavioral Health (IABH)—Palanca was honored at the association’s 50th anniversary gala dinner on September 7. 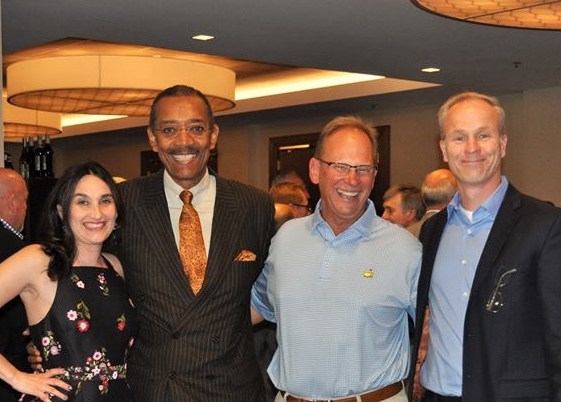 The IABH dinner was emceed by Robert Jordan, retired WGN news anchor, who was among Palanca’s friends, family members, and colleagues who filled the room at the Chicago Marriott Naperville. Speakers offered touching tributes and humorous roasts, including a special “car pool karaoke” video by IABH CEO Sara Howe and board members. On September 20, the Illinois Association of Addiction Professionals held its annual awards luncheon at the Ukranian Cultural Center in Chicago, where IAAP President Jim Golding and association members also recognized Palanca for his profound and tireless commitment to addiction recovery. On October 7, Vantage Clinical Consulting will honor Palanca at its Advocate for Recovery Awards dinner at the Grand Lux Café on Michigan Avenue in Chicago. This black-tie event will recognize the accomplishments and leadership of professionals, organizations, public figures, and community members in addressing mental health and substance use disorders. At TASC, Palanca has led strategic planning, development, service enhancement, and diversification efforts since 2003, and most recently has guided the introduction of outpatient treatment to TASC’s array of services. Prior to joining TASC, Palanca established his career in the field of prevention, treatment, and recovery, serving as executive director and regional vice president with Hazelden Foundation in Chicago, executive director with Parkside Behavioral Health Services in Chicago, and deputy director of the Illinois Office of Alcoholism and Substance Abuse. Additionally, he developed and led adolescent behavioral healthcare programs at South Suburban Council on Alcoholism, Ingalls Memorial Hospital, and Lutheran Center for Substance Abuse. He also began the Region II Operation Snowball, a youth and adult partnership that provides awareness and prevention of alcohol, tobacco, and other drug use. Co-chair of the National Association for Children of Addiction (NACoA) and board member of the National Association of Addiction Treatment Providers (NAATP), Palanca also remains a senior lecturer and chairman of the advisory board of the Governors State University Addictions Studies and Behavioral Health Department. Honoring Peter Palanca at IABH 50th Anniversary Gala Dinner: IABH CEO Sara Howe; Retired WGN News Anchor Robert Jordan; TASC Executive VP Peter Palanca; IABH Board Chair Dave Gomel. Enter your email address to follow the TASC Blog and receive new posts by email.